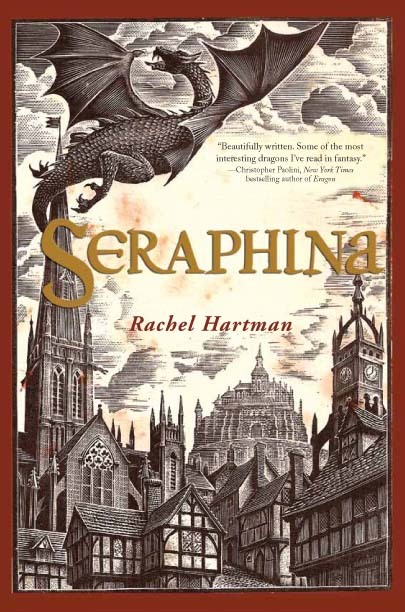 Seraphina is a beautifully written Young Adult (or Teen) book that will appeal to adults too. It is exactly what a fantasy should be. The story includes a believable setting within its own “world rules” and a brilliant use of language with harmony and rhythm matching the musical talents of the protagonist. I highly recommend this riveting story. It has a little something for everyone: mystery, adventure, blossoming friendships, court intrigue, magic and dragons!